China was the driving force behind the rapid growth in the luxury watch industry, until it wasn't. Consumption is just half the story, for the Middle Kingdom is also an important producer of watches and components. Originally published in Chronos Japan, this editorial explains the importance of China in watchmaking. A recognised fact in luxury watchmaking is the immense importance of the Chinese consumer. In 2014, a quarter of Swiss watch exports went to China (6.3% of the total) and Hong Kong (18.5%), according to statistics from trade body The Federation of the Swiss Watch Industry (FHS). This growth is relatively recent: Swiss watch exports to China grew from Sfr45 million to SFr1.4 billion in the 14 years to 2014. Throw in the 100 million Chinese tourists who went overseas last year – many of whom love buying luxury goods because of the steep taxes in China – and the proportion of luxury timepieces purchased by buyers from China is immense. No watch brand will reveal the numbers, but industry insiders reveal that for some high horology brands, as much as half to three quarters of watches are sold to clients from China. 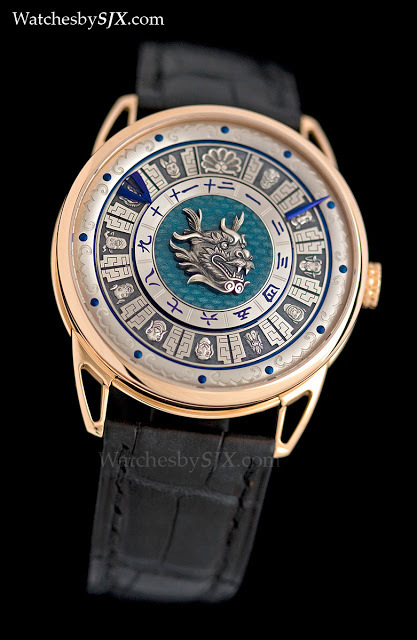 Proof of Chinese demand can also be found in the products unveiled in recent years, with dragon and phoenix motifs in enamel being particularly popular; the last Year of the Dragon in 2012 was the high-water mark for dragon-themed watches. 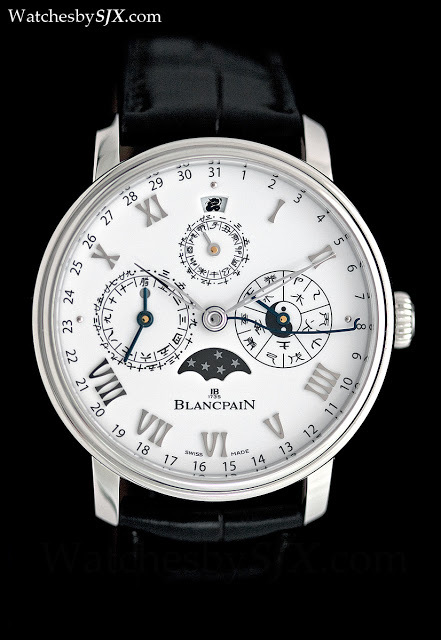 Blancpain even created a Chinese calendar wristwatch. Consequently the widely publicised anti-corruption campaign in China undertaken by President Xi Jinping that began in 2013 has had a significant impact on demand for fine watches. Vast and merciless, the crusade against graft has even landed what Xi termed “tigers”, high-level officials once though untouchable like Zhou Yongkang, once one of the nine most powerful leaders in the country. The reason this campaign matters for the watch industry is not just because it sends a signal to the rest of the country that conspicuous consumption is out. Watches were a favoured gift for those in power, as demonstrated in a paper written by a pair of economists from the Cheung Kong Graduate School of Business (CKGSB) in Beijing. Their 2013 paper, Swiss Watch Cycles: Evidence of Corruption during Leadership Transition in China, found that imports of Swiss watches into China tripled during each five yearly national political leadership transition, something that did not happen in other countries like Singapore or the United States. The authors attributed that to watches being small but valuable, as well as being easily sold for cash. In fact, they noted that the wide availability of counterfeit watches made the real thing even more desirable, because a real watch and its equivalent counterfeit could be gifted together, with the replica used as proof of innocence during an investigation. China’s economic travails, exemplified by the steep falls in its stock markets starting in mid-2015, have further depressed demand for watches. The results have been stark, borne out in the FHS trade statistics and results of the publicly listed watchmaking conglomerates. Richemont’s most recent results for the five months to August 31, 2015 describes the situation in Asia Pacific as “extremely challenging”, with sales down 18% for the region. And sales in Hong Kong and Macau were singled out for being “significantly lower”. That was mainly for its watch brands that includes A. Lange & Söhne, IWC, Jaeger-LeCoultre and Vacheron Constantin, all of which “suffered from weak demand in the Asia Pacific region”, as opposed to jewellery brands like Cartier that recorded positive growth. In fact, the situation in Hong Kong is dire enough that all of the territory’s major watch retailers, including giants like Chow Tai Fook and Emperor Watch & Jewellery, sent an open letter to the Federation of Hong Kong Watch Trades & Industries, an association of retailers and brands in mid-2015. Detailing the severe drop in business with inventory as high as 6 to 10 months for some brands, the retailers demanded concessions from watchmakers, including rebates to make up for retail price reductions imposed in early 2015. Because the retailers purchased existing inventory based on the higher retail prices, they are suffering from both higher cost and lower demand. It is difficult to sympathise with watch brands and retailers, given the vast profits they have made in the last decade with the exponential growth in demand from China. But there is perhaps distant light at the end of the tunnel. Besides the gloomy figures from Asia, Richemont also noted that sales at its own boutiques in China were up, indicating perhaps that the ordinary Chinese consumer is tentatively resuming his purchases. But the Chinese consumer is not the only important player in the global watch market, so is the Chinese watch manufacturer. The acquisition of Corum and Eterna by its current Chinese owners, China Haidian Holdings, was widely publicized, as are the continuing struggle at both brands to regain their footing. Less known, but more important, are the Chinese watch and component manufacturers based in China, because of their sheer volume. While Switzerland exported 28.6 million timepieces in 2014, China exported 669 million, making it the global leader by volume. State-owned Tianjin Sea-Gull, the oldest watchmaker in China, is the largest manufacturer of mechanical movements in the world, with an annual capacity of some six million movements. In fact, Sea-Gull might be the largest manufacturer of tourbillon movements in the world. Chinese watches, however, have an average export value of just US$4, compared to US$803 for Swiss watches. A watch with a hand-wound Sea-Gull flying tourbillon movement can be for less than US$2000 on eBay. Though the vast majority of Chinese watches are low-end, there is a tiny but ambitious niche of high-end Chinese watches. Sea-Gull makes it own multi-axis tourbillon wristwatch, as does fellow state-owned watchmaker Beijing Watch Factory. The official watchmaker to the People’s Liberation Army, Beijing Watch Factory also offers cloisonné enamel dials, made the traditional way with repeated firings in an oven. What is little known outside the watch industry is the prevalence of “Swiss made” watches that are largely made in China. An army of component manufacturers in China and Hong Kong supply all manner of parts to Swiss watchmakers. Even the Swatch Group that owns Omega, Breguet and Longines, lists in its annual reports subsidiaries in China, Malaysia and Thailand that perform assembly of “electronic components”, referring to production of quartz movements. Current rules only dictate that if 50% of the movements value is Swiss, with final assembly and inspection done in Switzerland, a watch can be Swiss made. The enormous loopholes meant that timepieces with majority of their components made outside of Switzerland qualified as Swiss made. Those loopholes will soon get marginally smaller, with new regulations governing the “Swiss made” appellation coming into effect sometime in 2016. The key criteria of the new rules requires 60% of the value of the entire watch to be Swiss in order to qualify as Swiss made. Some Swiss watchmakers, however, are embracing foreign manufacturing openly, with great success. SevenFriday, a Zurich based maker of watches priced at just over SFr1000, has been a hit globally, selling 12,000 in its first year. Founded in 2012, SevenFriday watches are mechanical and made in China and Hong Kong, marked as such on their case backs. Despite its current slowdown, China will continue to be a major force in the global watch industry, across the entire value chain.